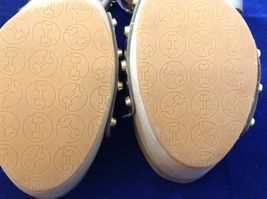 This item is selling for $65.00 on eBay. 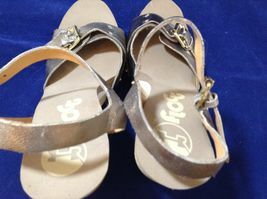 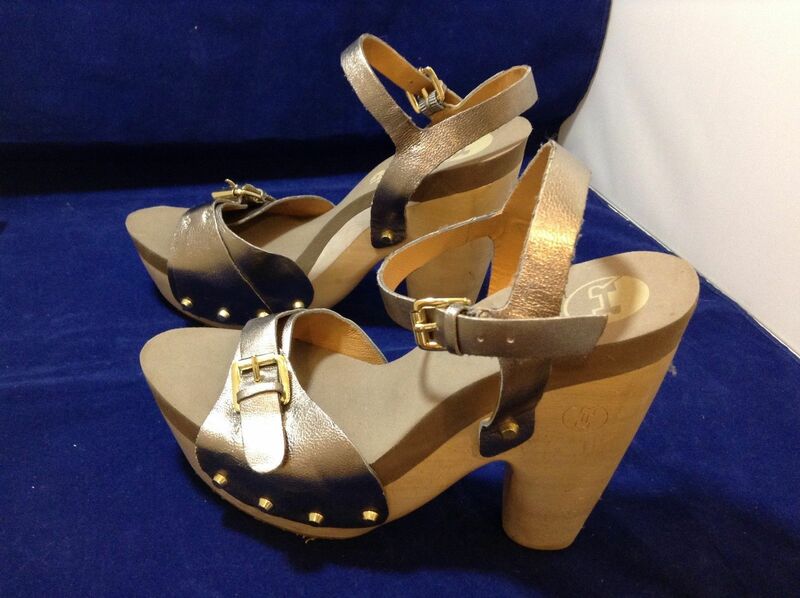 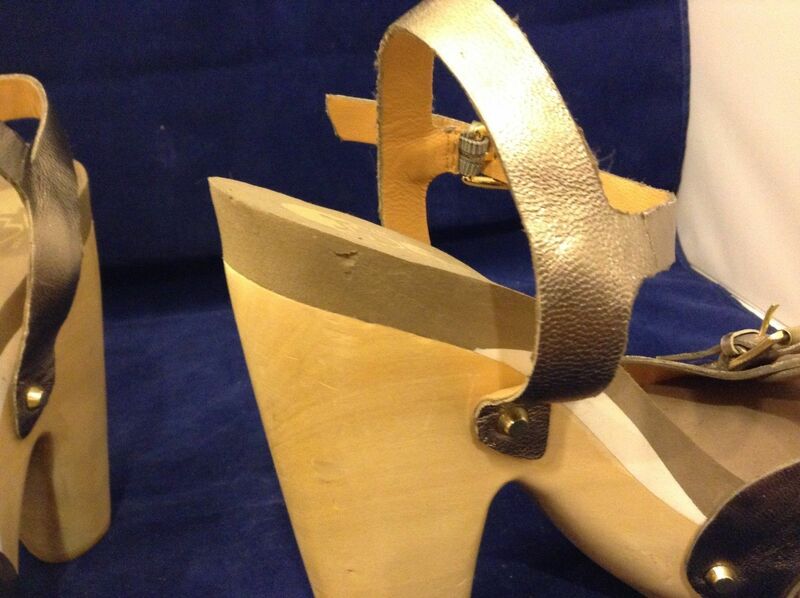 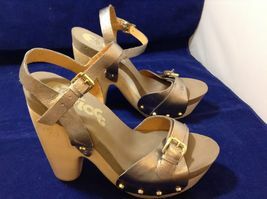 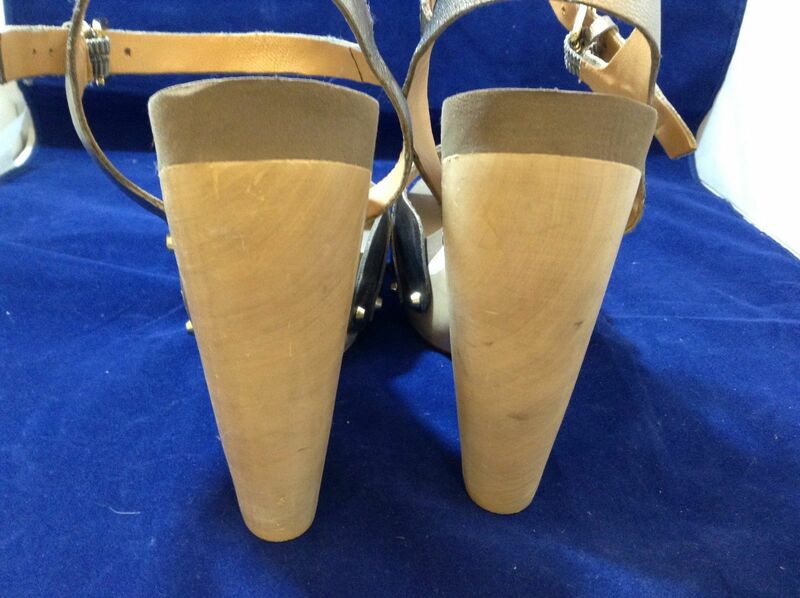 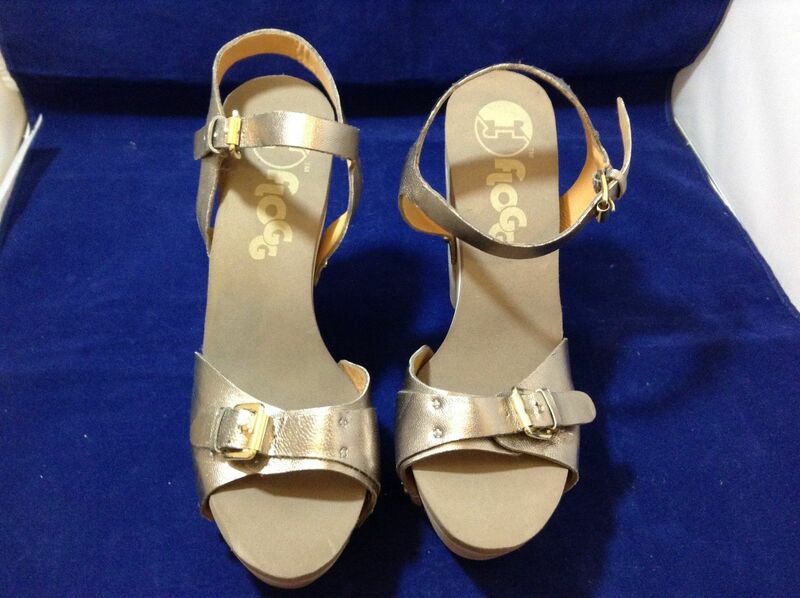 'Flogg' women's golden-colored, high heeled wooden clog sandals! 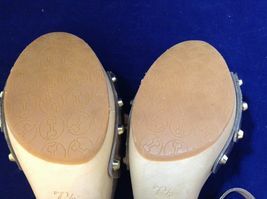 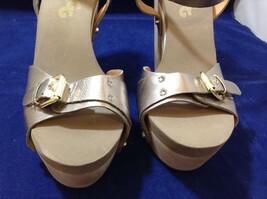 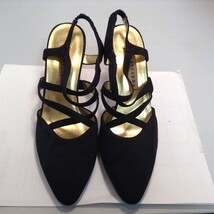 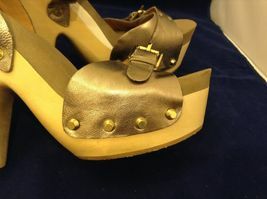 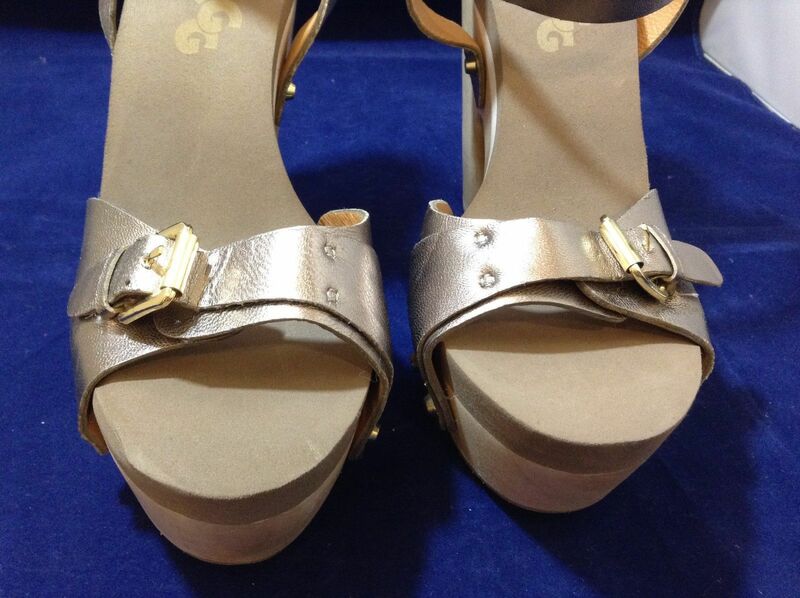 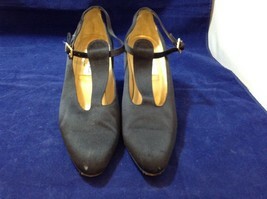 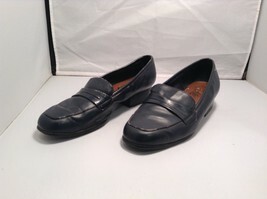 Clogs have thick high heel, shiny gold leather top and have thick foam insoles. 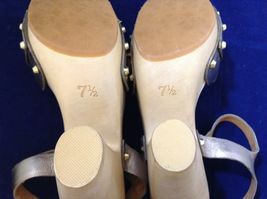 Inside the left shoe the heel area foam is gauged, but clogs are otherwise in excellent condition!